he ACCORDION BOTTLE by SLC Custom Packaging is an innovative packaging design unlike anything available on the market today. While most bottles and tubes are nearly impossible to empty completely, the ACCORDION BOTTLE effortlessly dispenses every last drop of what’s inside. The patented recess in its bellow forces product out of every nook and cranny so that nothing gets left wastefully behind. 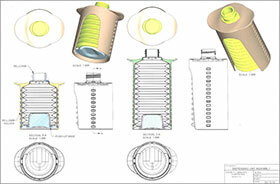 Patented recessed bellow dispenses 99.9% of its contents. 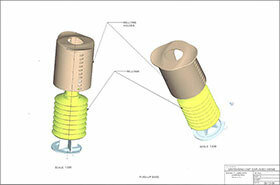 Ergonomic shell promotes comfortable product application. Wide range of uses including gels, creams, lotions, and pastes. Available in 2oz & 4oz sizes with 24-410 finish.